Home made guacamole is so good! 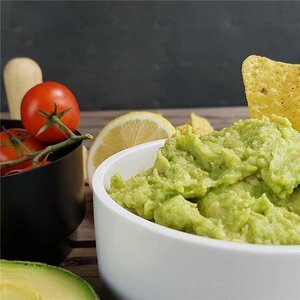 Prepare easily your guacamole in only 3 minutes! 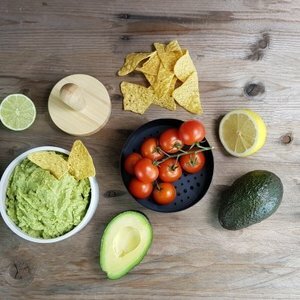 Press the avocado through the dedicated grid and add the other ingredients (lemon juice, onions, spices... Be creative or test one of our enclosed recipes!). 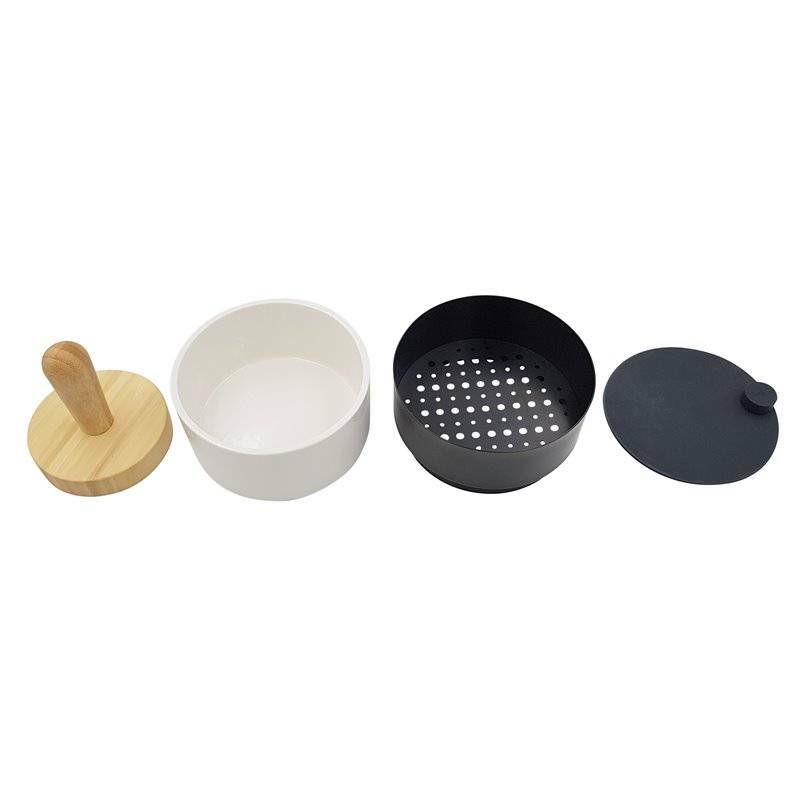 Then mix your preparation. Already ready! 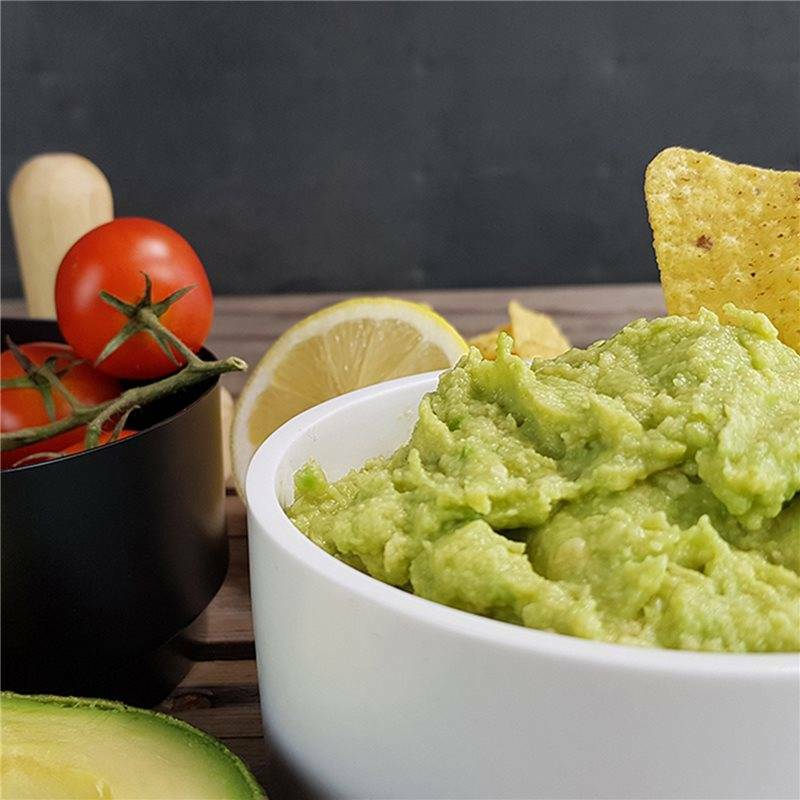 The grid has different-sized holes that give your guacamole a creamy texture with delicious little pieces of avocado. Just the perfect texture! 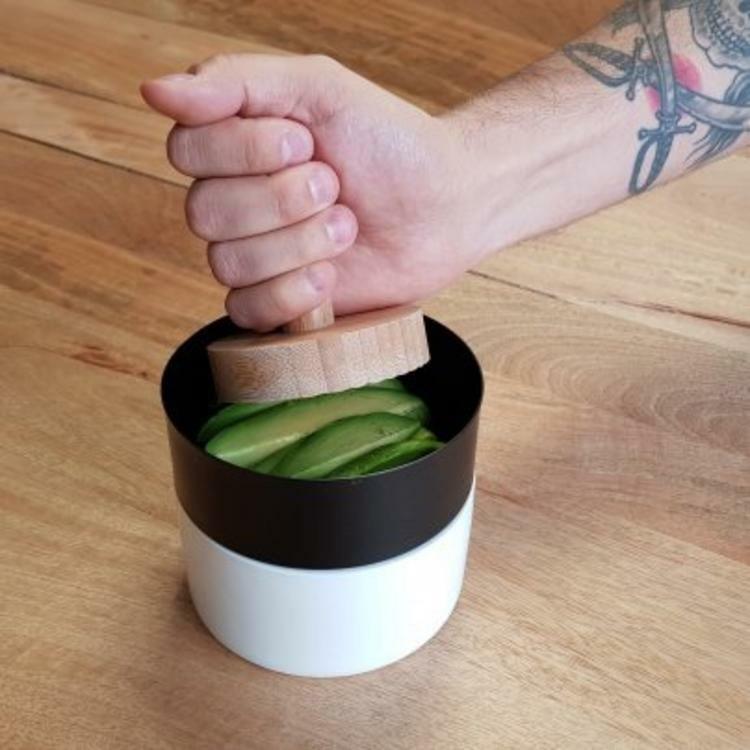 Remove the grid and serve your guacamole directly in the white ceramic bowl in which you just prepared it. 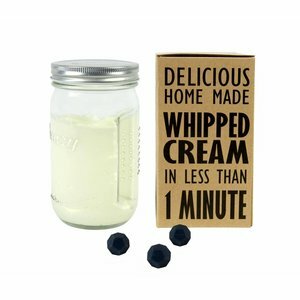 Easy and quick! 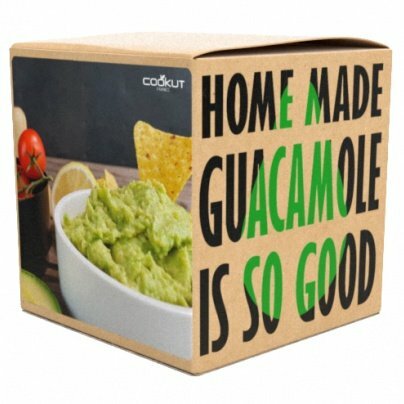 The special silicone lid fits perfectly the bowl and preserve your guacamole from the air and oxidation. No more guacamole which darkens in a few hours! 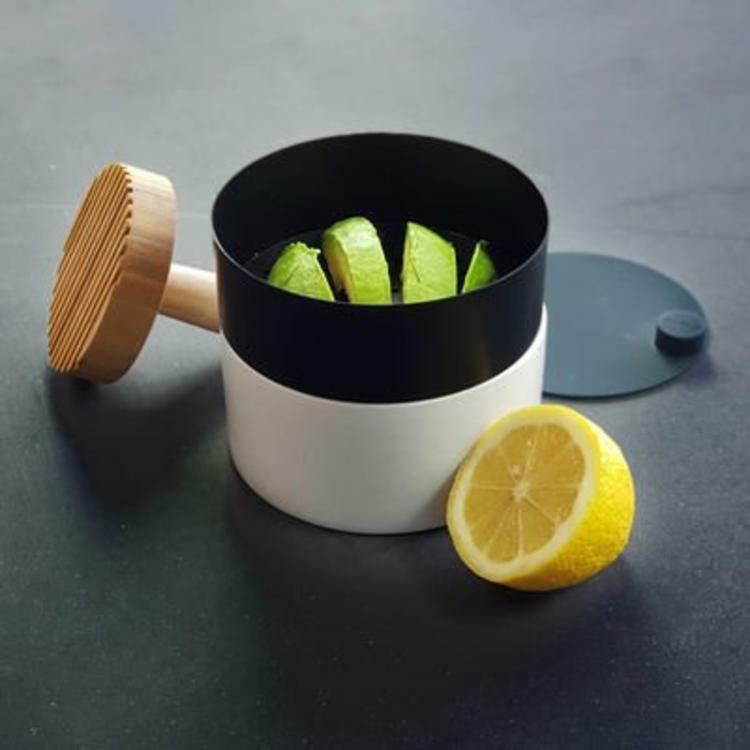 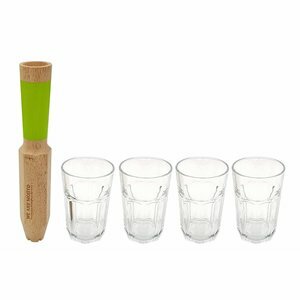 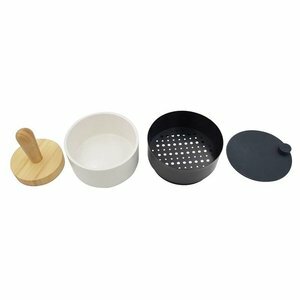 FGFG toolkit is composed of 1 white ceramic bowl to prepare and serve, 1 bamboo pestle to prepare, 1 special guacamole metal grid to prepare, 1 silicone lid to store and 14 original recipes.